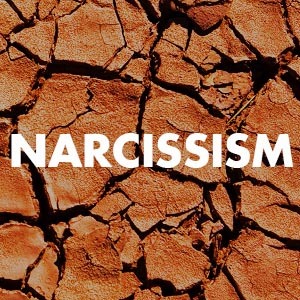 We have succumbed to a culture of Narcissism. Social media, smartphones and the internet have amplified our sense of self importance. We are increasingly disconnected from the natural world as we construct a human-centric virtual reality. This creates big emotions but no perspective. We need the long-view, lost by Capitalist and Commercial engines. Edward Bernays, the Father of commercial manipulation, public relations and propaganda, employed the theories of unconscious impulses first articulated by his (second) Uncle, Sigmund Freud, in order to refine strategies in advertising primarily in the print media starting in the 1910s until turning to Television in the 1940s. Advertising encourages us to think of ourselves first, our image and our status, and consumerism flourished under these manipulations, culminating in the Political ad, where the presidency itself became a product to be hawked. The "me" generation of the 1960's further asserted the importance of self, coinciding with the golden age of advertising where personal identity aligned with the explosion of the youth market brought on by rock and roll and teen-themed movies. In the 1990's the cable stations and internet age were born, where entertainment and news became increasingly tailored to the viewer, facilitating a feedback loop that has insulated us from opposing viewpoints. This in turn makes it impossible to accept perspectives outside of our own, and compromise in public discourse becomes unimaginable, leading to anger, frustration and intransigence. A century of pandering to "self" to capture our purchasing dollar has eroded society's powers of cohesion and resulted in disconnected individuals that trust only in a manufactured reality that is entirely vulnerable to manipulation.